Boasting an unparalleled location of less than three miles to the main entrance of Disney World, San Marco Resort will stand 15 stories tall with two towers of 236 units total and have 5-star service with amenities such as: a marble lobby with 40 foot ceilings, world class spa/salon, and massive pool area with lazy river in a ultra-plush tropical setting. All residences will be fitted with high-end finish to include: marble in all wet areas, granite countertops, and stainless steel appliances. The developer has just signed an agreement with a high-end luxury hotel flag and will be making that announcement very soon. Once the announcement is made, all clients will go from the current reservation agreement (with refundable deposits) to contract. Additionally, prices are expected to increase dramatically! 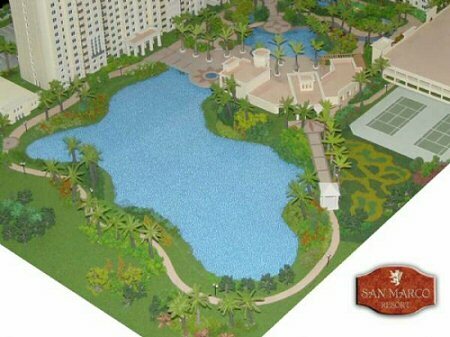 San Marco Resort has been such a big hit that just after 10 months of pre-selling off of plans, the project is 75% sold out! But don't worry there is still some time left to purchase a residence here. 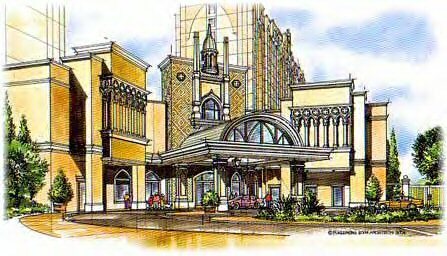 There will be a 5000 square foot club house, 4 pools, tennis courts, basketball court, restaurant on the deck, and with more located on the property. Fully furnished units operated as a Condo, with 24 Hour Security, Housekeeping, and Maintenance. A Check-in and Check-out Service also exists. Fully Assignable Contracts, (only within 90 days of closing).